This salmon has such a great flavor! Place the salmon fillet pieces into small baking dish. In a medium bowl, whisk together olive oil, soy sauce, rice vinegar, sesame oil, brown sugar, garlic, ginger, sesame seeds and green onions. Pour over the salmon. *Let marinate for at least 30 minutes in the fridge. Preheat oven to 400 F. Bake the salmon and marinade for 20 minutes, or until the fish flakes easily with a fork. 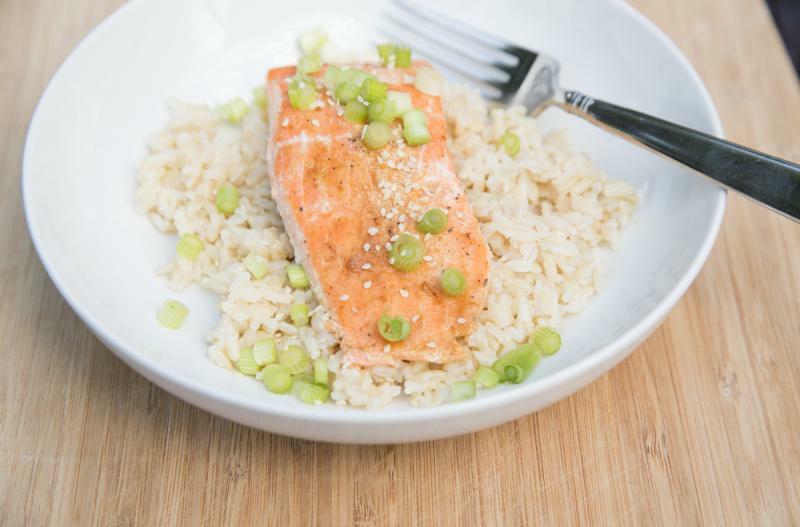 Serve Sesame Ginger Salmon with rice and veggies. 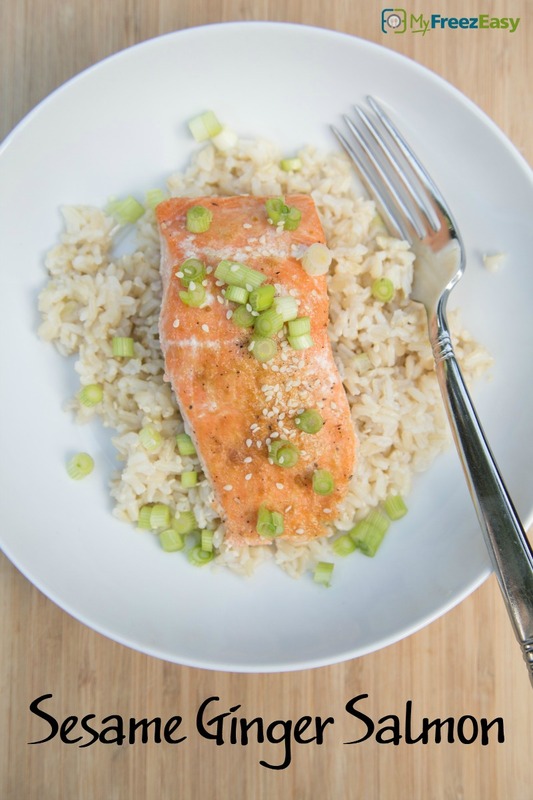 In a medium bowl, whisk together 1/2 cup olive oil, 4 Tbsp soy sauce, 4 Tbsp rice vinegar, 4 Tbsp sesame oil, 4 Tbsp brown sugar, 4 crushed garlic cloves, 2 tsp ground ginger, 2 Tbsp sesame seeds and sliced green onions. Put baggie in the freezer and freeze up to 6 months in fridge freezer or 12 months in a deep freezer. Thaw in the fridge overnight, or a warm bowl of water for about 20 minutes, before transferring to the baking dish to cook. Use coconut aminos and alternative sweetener for Paleo meal. Thaw completely before baking at 400 F for 20 minutes, or until cooked through.